Youth soccer can be fun! As a former young soccer player myself, I have run in your cleats. I lived with the same mixed feelings and emotions. 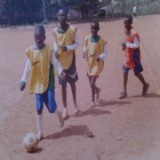 I had both hope of becoming professional soccer player, and fear of not finding the best opportunity. All young soccer players worldwide always ask how to become professional players. Their situation is frantic. They lack proper soccer training, have no connection, and are struggling to get discovered. That was also my case. It wasn’t easy I can assure you. It didn’t stop me from working hard towards my soccer dream. Today I can share with you my soccer experience detailed in “About Me”. 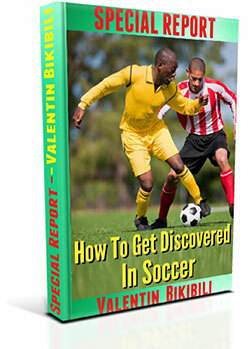 - Help them to get discovered by soccer coaches and professional soccer teams. I played soccer for almost half of my life. This is more than 20 years of experience on and off the field. I created and managed youth soccer leagues. 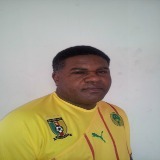 I created and trained soccer team as both captain and coach. That experience helps me today be useful to young soccer players. Are you looking for a place to improve your soccer skills and get discovered by professional soccer teams? This is the right place. 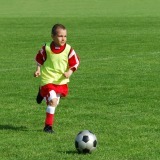 All-Youth-Soccer-Training will offer you real benefits to reach your soccer dream. Caroline Dare is our Soccer Player of the Week. She is 12 years old and plays soccer and guitar. Watch the latest hit song of Caroline "Game On". Read her amazing soccer talent and music story. I will provide you with the proper soccer training based on my own experience. You will learn about youth soccer drills and soccer tricks I used on the field. I will share with you some soccer coaching tips to better understand your soccer coaches and teammates. You will learn about everything to get discovered by professional soccer teams such as soccer marketing, soccer portfolio, soccer scholarships, and soccer camps, etc. I will share on other topics such as soccer rules and facts, soccer equipment, soccer psychology, to give the best soccer experience ever. Are you ready to live your soccer career dream? Are you willing to become a professional soccer player? Then get ready and let me help you. Let me be your host and guide in this soccer journey.